Your car is a combination of thousands of different parts and parts of different materials. The engine bay consists of many metal parts while the engine itself is made up of casted iron. The different gears inside the car are pure metal while the tires on which the car stands and rolls are of rubber. The interior consists mostly of plastic and that’s pretty much what a car is made up of. That being said, as you drive, your car tends to vibrate. In new cars, vibration sounds aren’t heard that easily since the car is new and everything is tightly fitted and sits snug. Even the engine would be running soft and smooth without creating a type of noise or sound which may be unpleasant to the driver’s ears. When a car age, parts tends to loosen up. The parts inside start to get loose, due to all the vibrations from all the driving on uneven roads and different surfaces. There are some sounds that a driver gets accustomed to, as his or her car gets old but there are some sounds that seem to be coming from the engine, not common. But the question is, what may be causing that sound or noise and is it okay to ignore it since the car drives just fine? This sound is usually heard as you drive your car, changing gears and accelerating. The sound seems like something inside the engine is knocking hard on it. Usually, that is a result of early ignition of the air-fuel mixture that is supposed to burn at just the right time for producing the optimal power. The ignition is timed which is why there could be a problem in the timing of when the mixture is ignited. In such case, proper tuning of the engine could fix the issue. If the issue persists, the cause could be something more severe such as a worn-out part inside the engine. In that case, the repair can be expensive as the engine would be taken apart to fix it. Some cars have a knock sensor which controls just that. Sometimes these sensors can go bad. Replacing the sensor fixes the issue. If you experience engine knocking – Make sure that your engine oil level is correct and if you can locate the problem let a mechanic take a look at it. Some modern engines do rattling a lot on cold start by nature. This is often due to a timing chain fitted on the engine. When the engine gets older it will start to rattle more and more on cold starts and this is a sign that the timing chain is getting worn out. If you know that you have a timing chain in your car and it makes bad rattling on cold start, you do absolutely want to check it further because a bad timing chain can damage the engine seriously if it fails! Checking a timing chain yourself isn’t easy without removing the engine almost completely. If you suspect a bad timing chain, let a mechanic do a proper diagnose with diagnostic equipment before replacement! 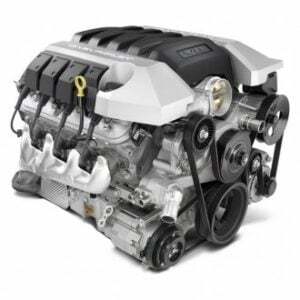 This sound is one of the most common engine noises and usually point towards the engine tappets or also called the upper valve train. This valve train or the tappets are what control the movement of the air intake valves and the exhaust valves. These can be accessed by taking off the engine head. The tappets sit against springs which revert the tappets back to its original position after being moved by the cam inside. This sound is usually caused when the engine is low on oil pressure or due to worn out springs or the cams. Make sure that the car has enough oil by checking the oil level using the dipstick. This is again one of the most common engine noises heard by many. Actually, the noise isn’t really coming from inside the engine but rather from the belts. Your car has multiple belts, one for the power steering pulley, one for the AC compressor and one for the timing (if the belt is of rubber and not chain). This sound usually is louder as you start the engine cold, and fades as you accelerate high. This sound is caused by either of the belts slipping on the pulley. That could be due to the belts getting loose or simply worn out. It’s better to change the worn out belts before they break completely. Try to tighten up the serpentine belt to see if it makes any difference, you can also spray on any type of fluid if the squealing is constant to see if the noise disappear. This is a problem in manual transmission cars. A grinding noise as you shift gears is common engine noise, especially in old cars. The noise is related to the transmission but doesn’t necessarily mean that the transmission is bad. This noise means that the gears inside the transmission are grinding hard against each other because either the clutch isn’t disengaging the transmission from the engine completely or the driver isn’t depressing the clutch properly before shifting. This sound is commonly heard when new drivers are learning to drive a stick shift. If the problem isn’t in the driving, the problem could be the clutch mechanism, worn out. In that case, the clutch system will need to be changed. A lot of engine noises do come from low engine oil or other fluids. Always start by checking the engine oil level with the dipstick if you hear any noise. The other most common thing is a bad serpentine belt which can cause squealing noises. Remove the serpentine belt to see if the noises disappear. If you have any other questions about this you can comment down below and we will answer your questions as soon as possible.